Recently I ordered a card from the CardStore and shared it with you. I loved it so much that since then I’ve ordered 50 more. Yes, everyone on my Christmas card list will be getting one this year! Especially since the CardStore will mail them out to my recipients for me, if I want. Which I do, unfortunately, I could not find my address book when I was ordering them. Don’t fret, I have found my address book, and filling out the envelopes and mailing them today. Although, I highly recommend letting the CardStore do all the work for you. If you’re busy like me, and that’s on a good day, add in the holidays and all it entails and shew… having one less thing to do like addressing, stamping, and taking your cards to the post office, is nice. Right? You should take advantage of this offer by creating your own cards at the CardStore. I’m thrilled with how mine turned out. I chose a fairly recent photo of my son to use as the background and a photo on the back of the card. It’s a sweet card. Beautiful, actually, sitting on top of the mantel in my family room. I think it will look great sitting on #TopoftheMantel of my family and friends fireplaces, or wherever they choose to display their Christmas cards. I’m certain that you can custom make your own beautiful holiday cards to send to everyone on your Christmas card list. And it is so quick and easy to make your own cards. I made and ordered my cards in under 10 minutes. In order to have cards arrive by Christmas Eve, you will need to place your order by December 16th. Mom Central and Cardstore are currently running a great giveaway on the MC Facebook page, with chances to win ten (10) $50 Amex Gift Cards and one (1) grand prize of a $300 Amex Gift Card! Here is the link to the sweepstakes – http://bit.ly/1gaAy4M. It ends December 13, so hurry and enter! I love the way cards lookmon the mantle. So few are sending cards nowdays I miss them! I’ve used the card store once before and was very happy with the end result. I will definitely will use them again. By the way your mantel looks great! How how cool that they can mail them out for you that is even better. Much better then ordering them and then they sit around until you finally get around to mailing them out. And when I say you I mean ME LOL! That looks so beautiful up there and I LOVE that they mail them for you. Best perk yet. Wished I would have taken advantage of having someone else ship my cards for me 😉 I need to get some mailed out tomorrow! I love doing photo cards! Mine are of my children at the beach! 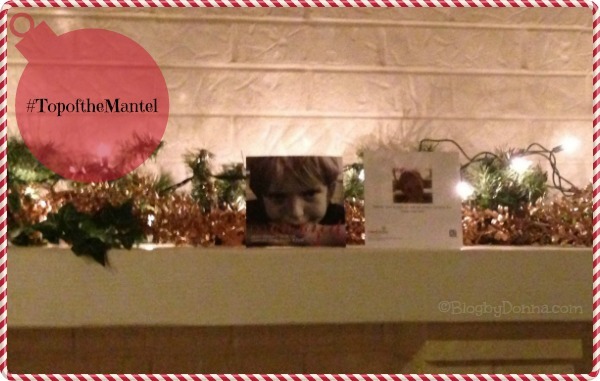 Photo cards are so great and I love the idea on top of the mantel! I so wish we had one so I could display cards! Such great cards. I think they are so much better when personalized. Thanks for the info. Will have to look into it. What a pretty Mantel. I love decorating the mantle for the holidays. Your cards came out beautifully! We did personalized cards this year too. I just went to enter the contest, thanks! Love the cards!! We have been so busy these past few weeks that I haven’t had the time to send out our cards. I love holiday cards so much, but sadly this year I’m way behind and it doesn’t look like I will be able to send them out. Better luck next year, right? 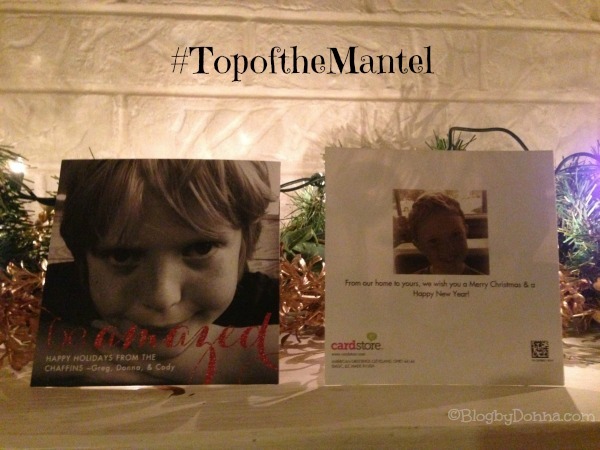 I think it looks wonderful sitting on your mantel! They look great & by sending them friends and family can do the same. What a beautiful mantel. Those photos turned out so cute. Beautiful mantel! Great giveaway too! I could REALLY use that $300 gc for sure! I have never had a mantel and have always thought that at the holidays they were great for decorating. The card is super cute! The backlighting with Christmas lights looks so pretty! I love their collection of cards! That is a great card!!! I still need to create mine, I may make new years cards since it’s so close to Christmas. Your cards came out great! Thats cool that they will mail the cards for you. I love how your card turned out. Adorable. I didn’t mail 1/2 if my cards out this year. #Fail.